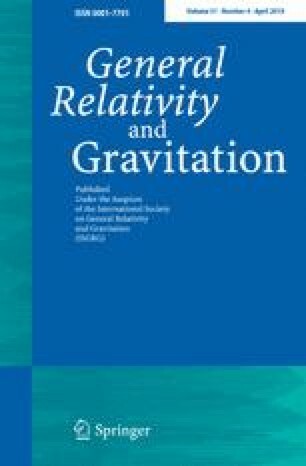 The original article can be found online at https://doi.org/10.1007/s10714-016-2082-x. As a conclusion, the solution of the radial part of the Klein–Gordon equation is formally the same as Eq. (30). In fact \(\alpha \) assumes the same value and \(\delta \) is given, formally, by the same expression as shown in Eq. (34). As a consequence of the fact that the solution is the same, the analogue Hawking radiation given by Eqs. (37)–(60) is all correct and therefore should be preserved. From this point on, the analysis of the analogue Hawking radiation expressed by Eqs. (97)–(111) is all correct. We apologize for the mistakes and express our gratitude to the colleagues for the comprehension. The authors would like to thank Conselho Nacional de Desenvolvimento Científico e Tecnológico (CNPq) for partial financial support. H. S. V. is funded through the research Project No. 150640/2018-8. V. B. B. is partially supported through the research Project No. 305835/2016-5. The authors also would like to thank Prof. Luís C. B. Crispino for the fruitful discussions.